A late goal by Stuart Lewis handed Whites’ back-to-back victories in the National League at Crabble on Saturday. 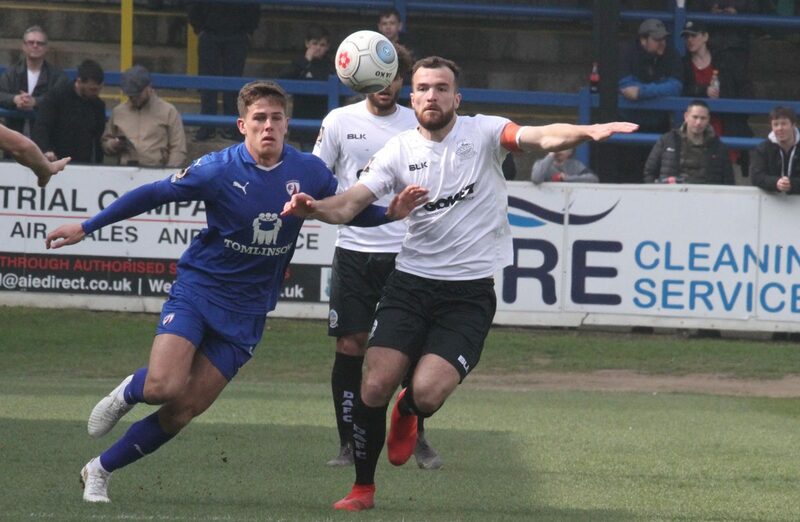 Midfielder Lewis followed up after visiting stopper Jake Cole spilt out Anthony Jeffrey’s ball across goal to extend Dover’s unbeaten league run to seven matches. The victory lifts Andy Hessenthaler’s men to 17th in the league table on 54 points, with boss Andy Hessenthaler setting a revised target of 60 points by the end of the season. Earlier, Rollin Menayese headed over from John Goddard’s cross as the game’s first meaningful chance went the way of the already relegated Shots. Inih Effiong then went for glory, exchanging passes with Anthony Jeffrey before forcing visiting goalkeeper Jake Cole into a low save from the edge of the area. Effiong then slipped in Jamie Allen, but Dover’s forward slipped at the crucial moment and sent his shot sailing over the crossbar. The home side continued to create chances and Bobby-Joe Taylor, playing in a more advanced role for Whites, headed Jeffrey’s pinpoint ball back across the goalmouth and out for a goalkick. Aldershot’s first attempt on target arrived shortly after the restart when Goddard took aim, however, Worgan was equal to the long-ranger and parried the ball away. Effiong swivelled in the area, only to see his strike bravely blocked by the visiting defence, while Jeffrey had Cole scrambling along his goalline with a dipping 30-yarder. Kevin Lokko then glanced Taylor’s corner off-target and the away side went even close five minutes before the hour mark. Jacob Berkeley-Agyepong found Reece Grant in the area, but the striker was unable to hit the target as the ball deflected off Joshua Debayo and onto the foot of the post before being cleared the safety. Athletic and Effiong were left looking to the skies with their next opportunity. Taylor slipped in Dover’s top scorer at the far post, only for Cole to somehow deny Effiong with a spectacular block from point-blank range. Goddard stabbed McDonnell’s pass just wide and sub George Elokobi volleyed past the far post from distance. Cole continued to thwart the hosts, somehow palming over Nortei Nortey’s deflected top corner-bound strike. And the Shot’s stopper was not finished there. Referee David Rock ushered play on following a foul on sub Alfie Pavey, but while the Aldershot defence remained motionless, Cole was out quickly to deny Allen. Stuart Lewis had an effort cleared off the line and moments later the Aldershot backline denied Athletic. Jeffrey outsprinted his opponent out wide, finding Allen to thump the ball goalwards, only for Rollin Menayese to acrobatically clear the ball off the line. Sub Kadell Daniel nearly scored his first goal of the season, firing inches wide, while Cole gathered Jeffrey’s long-distance effort at the second attempt. Agyepong raced through to steal the win late on, only for Worgan to make a sprawling save. 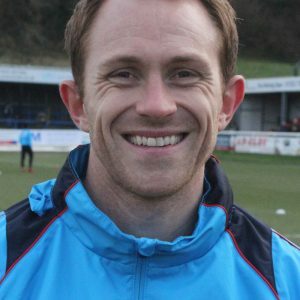 Dover finally made the breakthrough on 89 minutes thanks to Lewis’ first goal for the club. Lewis tucked the ball into the bottom corner after Cole parried out Jeffrey’s ball. Earlier, boss Andy Hessenthaler four changes to the side that started at Barrow last week. Adebowale, Jeffrey, Debayo and Allen came in for Scott Doe, Josh Passley, Pavey and Jai Reason with the latter two named as substitutes. 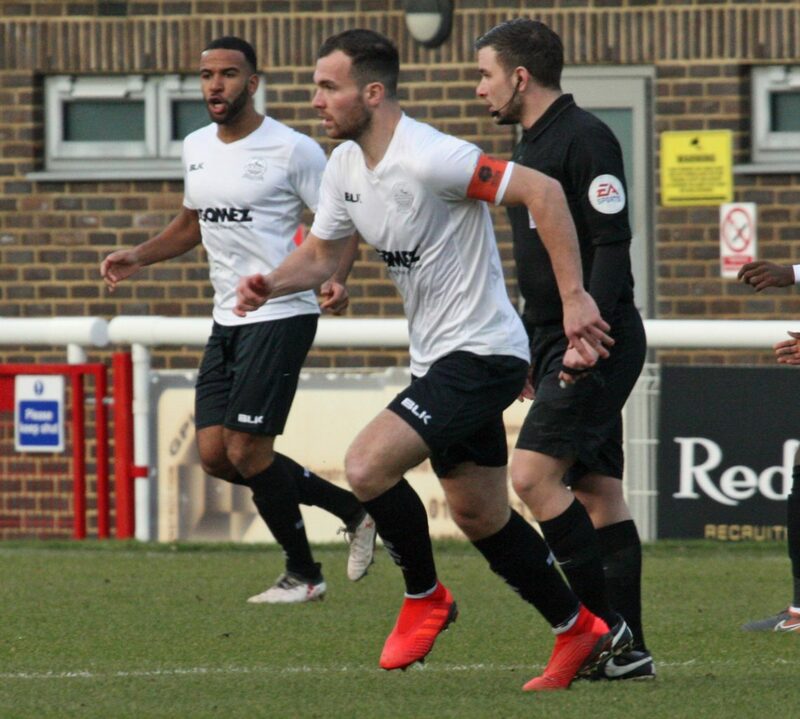 Whites next travel to Ebbsfleet in the National League on Bank Holiday Monday 22nd April, kick-off 3 pm. 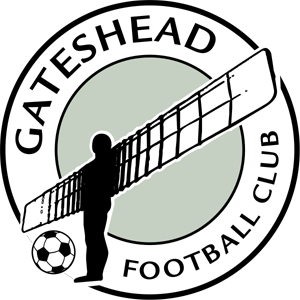 Whites moved nine points clear of the drop zone following a goalless draw at Crabble on Saturday. In a game of few chances, Athletic held on to extend their unbeaten run in the National League to five matches. Inih Effiong jinked through the visiting defence early on, however both he and teammate Alfie Pavey both tried to shoot at the same time and the ball rolled harmlessly through as a result of the mix-up. Chesterfield, with seven changes from their 2-0 win against Dagenham & Redbridge last weekend, forced the first shot on target with home stopper turning away Jack McKay’s stinging volley. Bobby-Joe Taylor’s swirling free-kick had Joe Anyon scrambling, but the ball flew over the visiting goalie’s far post. Jai Reason’s long ball set Alfie Pavey clear, but Spireites skipper Will Evans recovered in time to make a last ditch challenge. Stuart Lewis then sent a 25-yard effort into the side netting for Athletic. Worgan then dived low to grab onto Marc-Antoine Fortune’s low drive following a one-two with Charlie Carter on the edge of the area and at the other end Mitch Brundle sent a piledriver just over. Lewis sent another shot from distance over after Taylor’s free kick struck the Chesterfield wall and Fortune scuffed well wide from a right angle after Lee Shaw had played in the ball from out wide. Dover’s best chance came midway through the second half. Kevin Lokko headed Reason’s pinpoint delivery goalwards, only for the ball to cannon off both Pavey and Bedsente Gomis and away after both players tried to head on target. Andrew Kiwomya blazed over from a few yards after Worgan’s parry from Fortune fell kindly for the substitute. Kiwomya saw his shot strike Lokko and though Lawrence Maguire sent the rebound goalwards with venom from the edge of the box, Lokko bravely blocked the ball with his body to keep Dover’s clean sheet in tact. Earlier, boss Andy Hessenthaler made one change to the side that started at Solihull last week, with Effiong replacing the injured Jamie Allen. 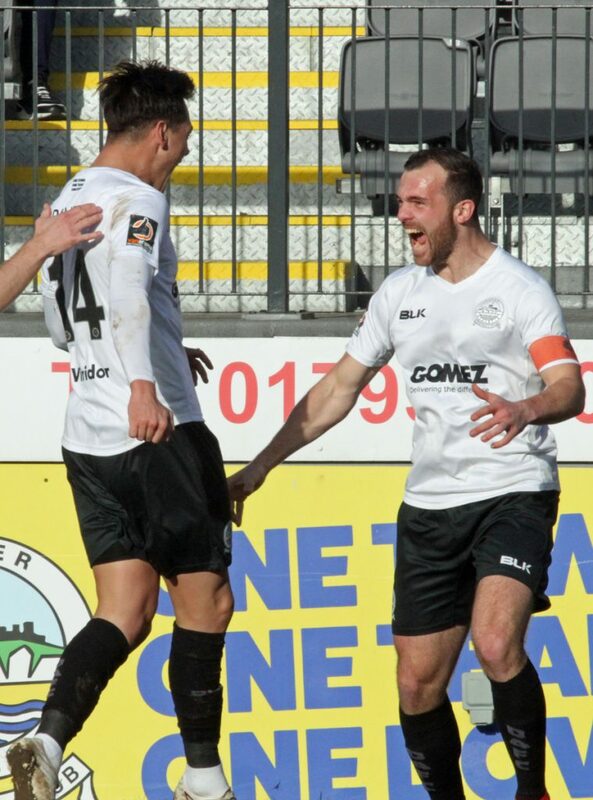 Whites are in National League action again next weekend when they travel to Barrow on Saturday 13th April, kick off 3 pm. Goalkeeper Lee Worgan starred on his National League debut for Dover to help his side win a crucial three points against 10-man Braintree. Worgan produced a string of fine saves, including a stunning fingertip save to push Cameron James’ goalbound free-kick onto the crossbar and a penalty save from Korrey Henry. The visitors started strongly and Worgan was soon in action, blocking Callum Morton’s angled drive after the West Brom loanee had been sent clear by Ifeani Allen a couple of minutes into the game. 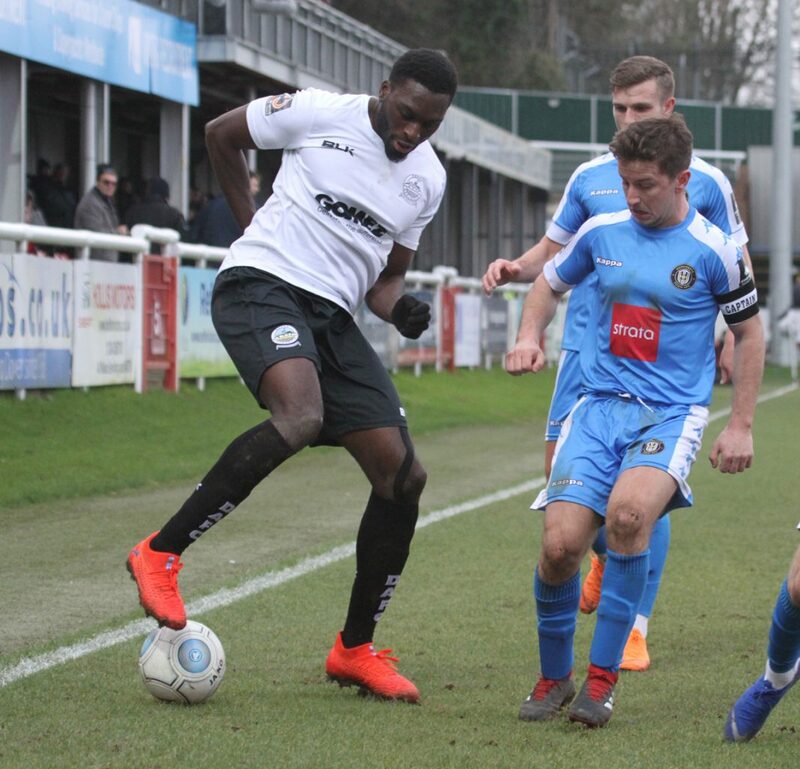 Things took a turn for the worse for basement side Town when Ricky Gabriel was given his marching orders after four minutes after an off the ball incident with Alfie Pavey as Dover prepared to take a free-kick. 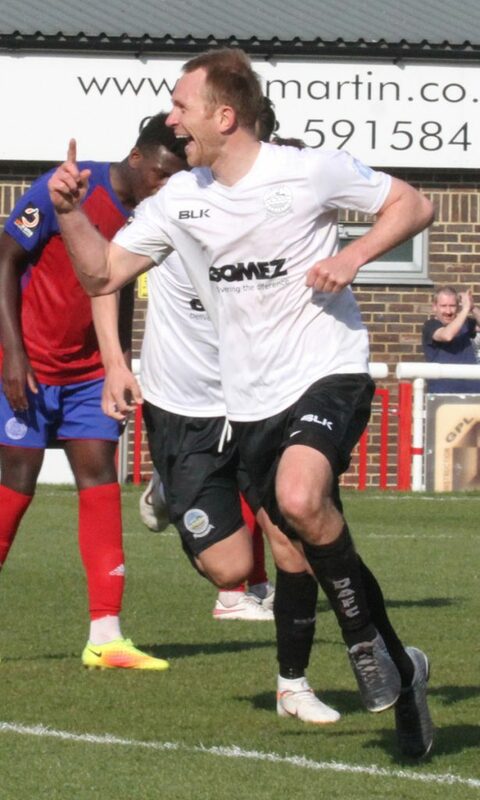 Dover made the man advantage count 15 minutes later as Pavey scored his first league goal for Whites. The striker saw his intial header from a Bobby-Joe Taylor corner blocked, but slammed home the rebound after visiting stopper Ben Killip pushed Mitch Brundle’s follow-up shot into Pavey’s path. Worgan dived onto Allen’s low drive and at the other end Kevin Lokko had a headed goal ruled out for a foul during a corner. The chances kept coming for Dover as Pavey headed Taylor’s cross straight at Killip and Bedsente Gomis blasted well over from outside the box. Worgan then produced an exceptional save just after the restart – James’ set piece seemed destined for the top corner, but the former Wales under-21 international somehow tipped the ball onto the crossbar before clutching onto Morton’s follow-up shot. Lokko then headed another chance wide and Worgan continued to impress when referee Josh Smith pointed to the spot after Henry’s shot cannoned off Scott Doe’s arm in the area. Henry ignored his teammate Allen’s pleas to hand the spot-kick duties over to designated taker Morton and Worgan left the striker red faced, diving low to his left and then grabbing the ball at the second attempt. Andy Hessenthaler’s men duly punished their opponents as Jai Reason marked his return to the side with a goal on 57 minutes, cheekily nodding Brundle’s cross over the onrushing Killip. Taylor almost grabbed his first goal for Dover, but chipped wide of the mark after being put through by Gomis. Instead it was Brundle who sealed the win in the 74th minute, heading home Ricky Modeste’s inch-perfect cross after the winger had beaten two Town players out wide after collecting Jamie Allen’s pass from inside in own half. Killip redeemed himself as full-time drew to a close, diving full-length to turn away Stuart Lewis’ half-volley from Tayor’s cross. 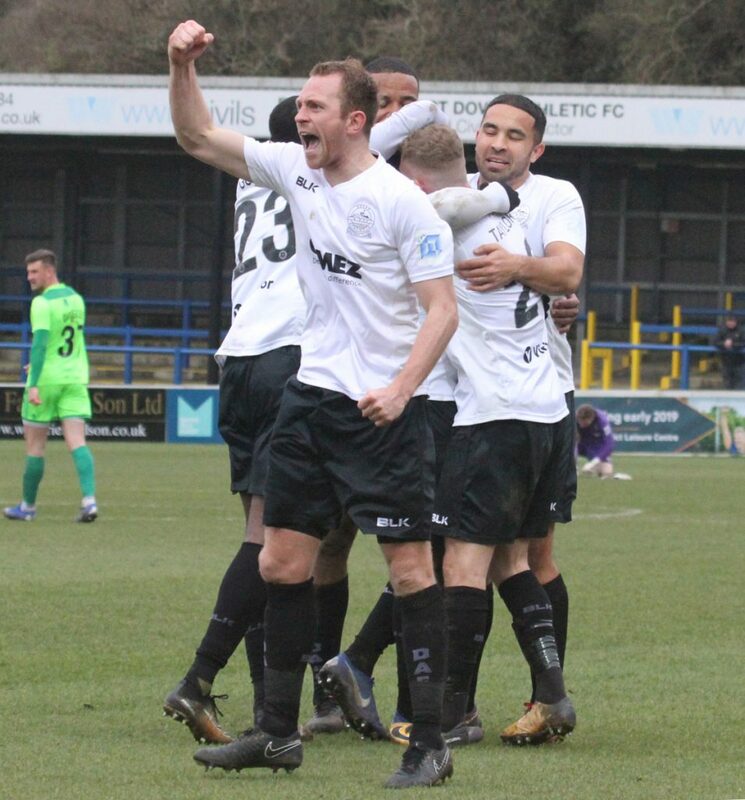 The final whistle confirmed Dover’s first home win of 2019. Earlier, boss Hessenthaler made four changes to the side that started at Maidenhead last week with Reason, Pavey and Worgan replacing Danny McNamara, Inih Effiong and Mitch Walker. 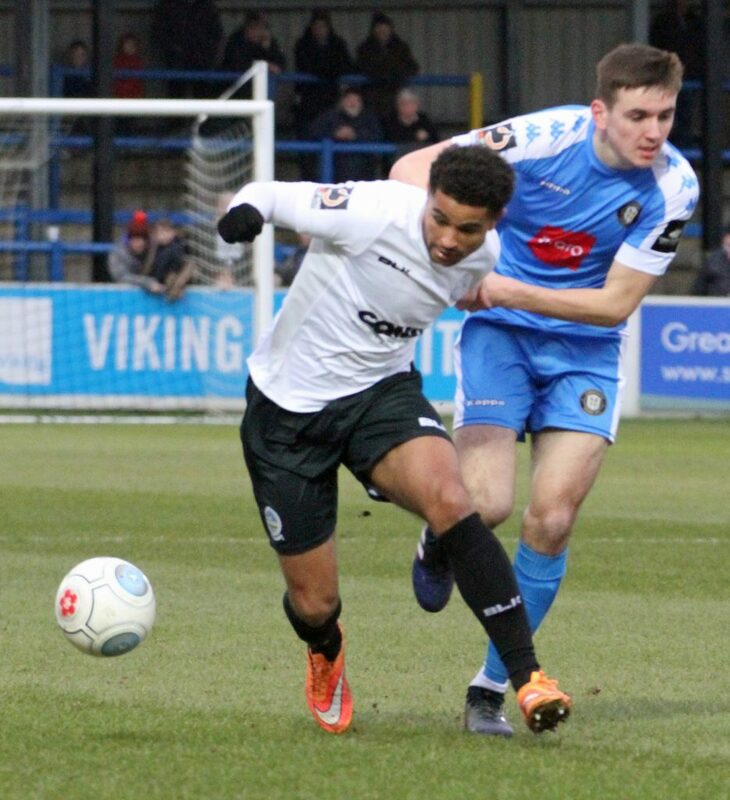 Nine-man Dover bravely held on for a point against Kent rivals Bromley at Crabble on Saturday. Kevin Lokko headed Andy Hessenthaler’s men ahead in the first half, before Adam Mekki restored parity nine minutes later. Both Lokko and Bedsente Gomis were both sent off just after the hour mark following a fracas in the Bromley penalty area, though Athletic held until the final whistle, including ten minutes of injury time, to stay unbeaten in the National League in 2019. Earlier, Inih Effiong evaded the offside trap from Gomis’ lofted pass, only for David Gregory to palm the striker’s curling effort into the air with defender Marc-Anthony Okoye on hand the clear before the ball could bounce over the line. The visiting keeper was then called into action twice in quick succession, firstly pushing Joshua Debayo’s shot after the left-back’s burst into the box, then patting down Jai Reason’s 25-yarder. Bromley were then centimetres from taking the lead. George Porter collected Frankie Sutherland’s through ball and smacked the inside of the post from the edge of the box. Gregory spilled Nortei Nortey’s drilled effort, however was able to clasp onto the loose ball before the onrushing Jamie Allen could score. But Whites were ahead on 30 minutes thanks to Lokko’s fifth goal of the season. 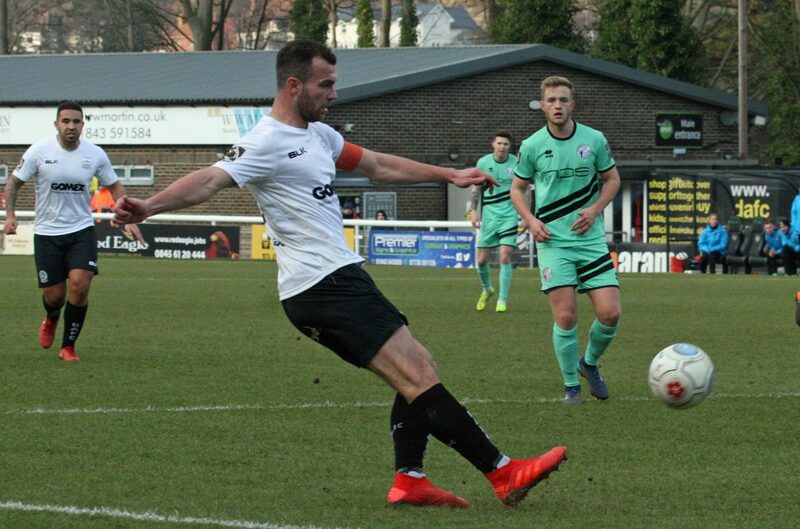 The defender, who was yet to score since Dover’s 2-0 home win against Maidenhead in November, powerfully headed in Mitch Brundle’s accurate free-kick. But the away side were level just nine minutes later with a goal from a former Dover player. Frankie Raymond’s free-kick found it’s way to Mekki via the glove of Mitch Walker and the winger volleyed home. 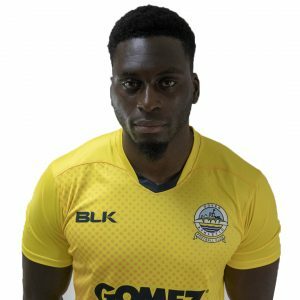 Gregory grabbed Effiong’s low shot and following the restart, penalty cries for a handball against Dover after Stuart Lewis’ sliced clearance were waved away by the referee. It was Athletic’s turn to strike the woodwork next. Lokko headed a deep corner towards Effiong, but the striker’s thunderous shot struck the underside of the crossbar and down onto the goalline. The game then changed when Dover were reduced to nine men. Following a fracas in the Bromley penalty, including Jack Holland going to ground following an off the ball incident, both Gomis and Lokko were given their marching orders. Mekki almost made the two-man advantage count, thrashing across the face of goal and then was unable to make any contact on sub Omar Bugiel’s cross. And Bromley’s scorer then contrived to miss twice more, firstly seeing his close range shot blocked by Mitch Brundle on the line before blazing over the rebound. Walker came to the rescue as the clock moved into ten minutes of injury time, tipping away Richard Brindley’s low drive. However Athletic resolutely held on to make it five league matches undefeated. Earlier, boss Hessenthaler made four changes from the home defeat to Harrogate Town in the FA Trophy last week. Scott Doe returned after being cup-tied, while Gomis, Lokko and Jai Reason also started. Alfie Pavey, Moussa Diarra and Anthony Jeffrey began as substitutes. 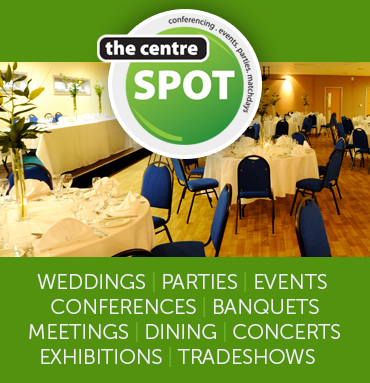 Whites next travel to Havant & Waterlooville on Saturday 26th January in the National League, kick off 3pm. Whites were knocked out of the Buildbase Trophy second round at Crabble on Saturday afternoon by their Yorkshire opponents. Andy Hessenthaler’s men had taken an early lead through Inih Effiong, though Jack Muldoon equalised just minutes later. Harrogate’s top scorer grabbed a second half winner to end Dover’s six-game unbeaten run at home. Earlier, Josh Falkingham and Lloyd Kerry tested Mitch Walker early on with 25-yard efforts. Dover’s stopper then had to face a free shot from 12 yards when Joe Bedford tripped Mark Beck in the area. Town’s big striker was unable to convert his spot-kick, with Mitch Walker saving with his legs. Instead it was Athletic’s in-form striker who gave Whites the lead on 13 minutes. Effiong controlled Anthony Jeffrey’s volley with his chest and unleashed a volley past a statuesque James Belshaw in the visiting net. However Harrogate were level just two minutes later thanks to their own top scorer. Muldoon slotted Callum Howe’s knock-down past Walker to restore instant parity. Dover almost retook the lead when Moussa Diarra headed over Mitch Brundle’s looping cross. Any claims for a foul against Stuart Lewis in the penalty area were waved away and Effiong placed an effort straight down Belshaw’s throat. Joshua Debayo flashed a free-kick just wide of the mark and at the other end Beck somehow mis-directed his header from Muldoon’s pinpoint cross. The away team then created their best chance of the half so far, with Ryan Hallowfield crossing for the onrushing Muldoon, but the visiting striker somehow missed the target from a few yards out. Brundle’s last-ditch defensive header denied Beck from close range but Simon Weaver’s men converted their next chance on 63 minutes. Muldoon nipped in ahead of his marker to fire home his second of the afternoon from George Thomson’s cross at Walker’s near post. It was almost 3-1 to the visitors, but Walker bravely blocked Liam Kitching’s close-range shot and Dover’s keeper dived onto Thomson’s curling effort. The Yorkshire side continued to create and Kitching volleyed over when well placed at a corner. 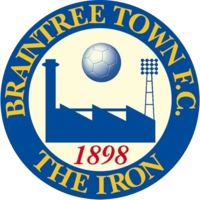 Earlier,Andy Hessenthaler made two changes to the side that started at Havant in the FA Trophy first round in midweek. Mitch Walker and Inih Effiong replaced Lee Worgan and Kadell Daniel.